HU - ITB Symposium | PARE MEMBERS' CHAT ROOM! 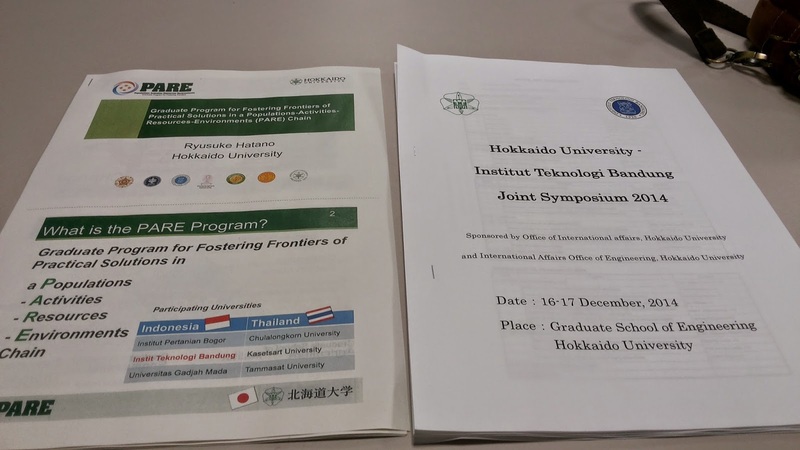 Last week, there are Symposium in Hokkaido University with ITB ( Institut Teknologi Bandung ) held by Faculty of Engineering. In this Symposium there are 8 Lecturer from ITB comes, which is 4 of them is my lecturer in Mechanical Engineering faculty. In this Symposium every person present about their research and introduce about the education system in their University, so we can exchange the information and compare the education system. The Pare and Symposium handout. 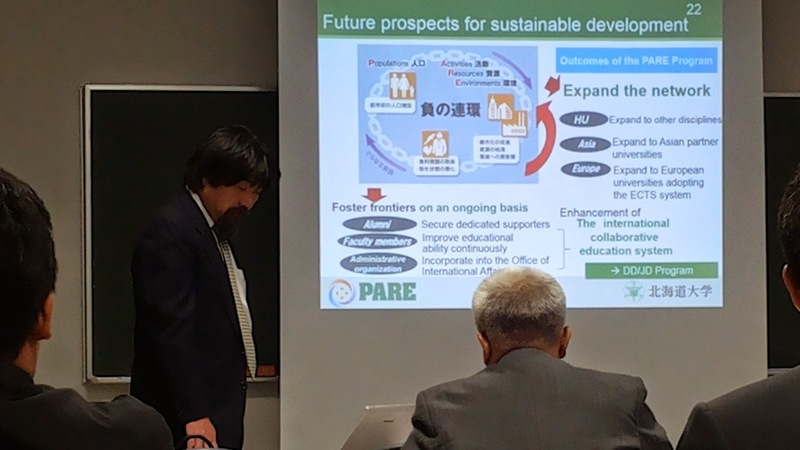 In this Symposium, the PARE program also introduced by Hatano-Sensei, and after the presentation, we discuss together to improve the output of PARE program. Hatano Sensei present about PARE program. 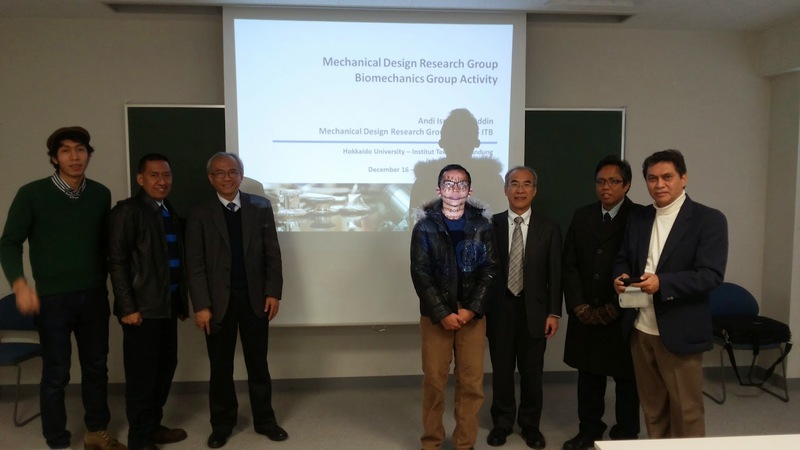 I and Sugi take photo together with ITB lecturer and Kobayashi Sensei. That's one of my activity during my stay in this campus.